Cardboard waste pickers are a largely unseen group of, predominantly, elderly women in Hong Kong. Cardboard waste pickers are a largely unseen group of, predominantly, elderly women in Hong Kong. They work long gruelling hours for little pay and are usually ignored by city dwellers. Many turn a blind eye to their plight due to ignorance and a lack of information about these marginalised people, who are only seen on the peripheral. V Cycle is passionate about learning more about Hong Kong’s waste pickers and educating the public on these often overlooked people. Our team of volunteers regularly go and visit these cardboard waste pickers. During these encounters, we have found that our volunteers have learnt to appreciate the little things in life which we take for granted. A mere dollar to most of us means nothing but to these waste pickers it's their reward for all their hard work, sweat and tears. For instance, one of our heroines, Kwok Por Por, is 86 years old. She rises early from her home in North Point to start a long, arduous day from 8 o’clock in the morning until late into the night. 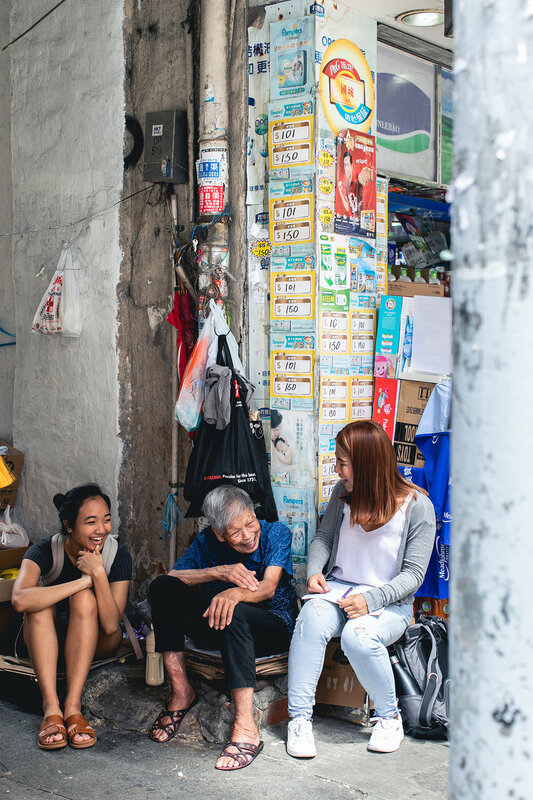 Together with her fellow waste pickers around Hong Kong, they collectively recycle 196 tonnes of cardboard daily. This is just over 20% of the daily number of cardboard discarded in Hong Kong. They really deserve our respect and recognition! Cases like Kwok Por Por are not uncommon, and we hope that with care and compassion, Hong Kong’s waste pickers won’t be disregarded any longer.